Let’s play a game. I’ll invest your retirement kitty for you, and I’ll promise to beat the market. But, in return, I want an annual cut of your assets, equivalent to or greater than the earnings you’d make from simply putting your money in the market. Would you ever agree to that setup? No, no you would not, because you are not an idiot. As any financial adviser worth a damn would tell you, you would be better off investing in a low-cost index fund instead. Over time, you’d probably do about as well as the market does. And you wouldn’t see all of your gains eaten up by fees. But if you’re the city of New York, idiocy of this sort seems to be your thing. Evidence for that conclusion comes from a truly infuriating report from the New York Times. 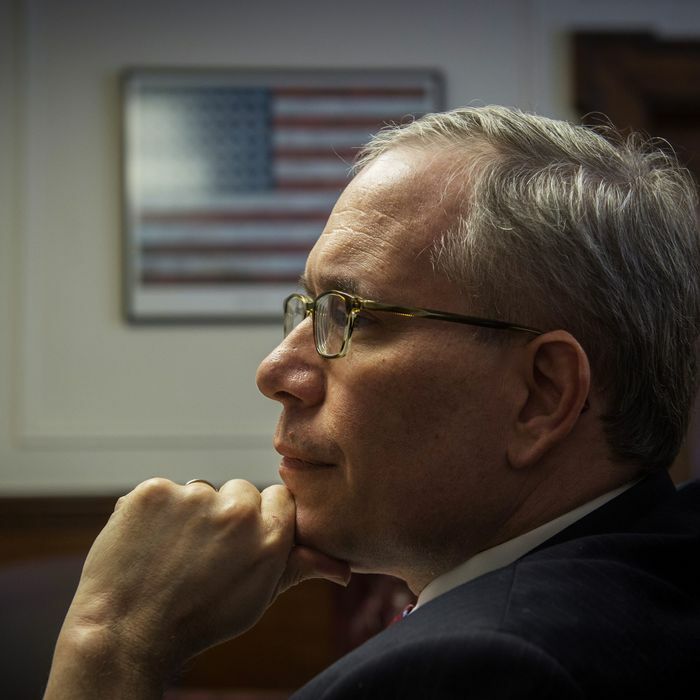 In an interview with the paper, Scott M. Stringer, the city’s comptroller, said that the city has just discovered that it has gotten zero return on certain investments over the past decade, net of fees. It’s a little hard to see what is what in the report — what financial data was reported to whom, who was counting what including fees or excluding them. But the story notes that the city invests most of its money in “plain vanilla” assets, like stocks and bonds. It “generally” reports returns on those assets net of fees. “Over the last 10 years, the return on those ‘public asset classes’ has surpassed expectations by more than $2 billion, according to the comptroller’s analysis. But nearly all of that extra gain — about 97 percent — has been eaten up by management fees, leaving just $40 million for the retirees, it found.” In other words, public assets have generated a significant return — but any excess return, meaning any benchmark-beating returns, got gobbled up by Wall Street. Yes, yes it is. And that’s the thing. It’s not just that the city left money on the table by paying such high fees. It’s that it had no idea whether paying for all those fancy money managers was really a good proposition until now. Figuring out your return both before and after fees — that’s not some tricky, quantum-level piece of financial accounting. It’s not the kind of obscure calculation made by only a handful of super-sophisticated investors. It’s bread and butter to any fund with any sum of money in the market over any period of time. It’s one of a small handful of metrics that really matter when it comes to making long-term investments. The fact that Scott M. Stringer is getting it all sorted out now is admirable. But the fact that nobody in the pension system had this figured out earlier on — it would be laughable if it weren’t so tragic. This kind of accounting eff-up might translate into billions of dollars lost to pensioners. It means money needlessly shoved into Wall Street’s pockets rather than working folks’ retirement accounts. Good on Stringer for figuring it out now. But how on Earth didn’t anyone figure this one out sooner?